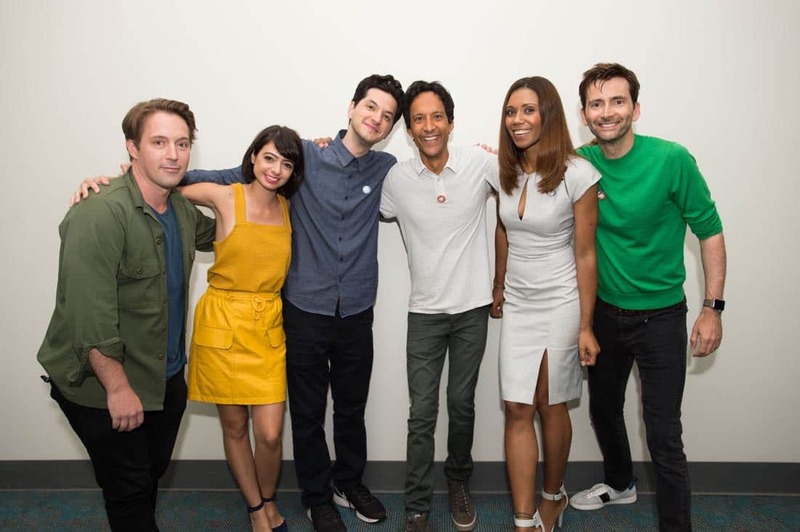 As previously reported, David Tennant and his fellow co-stars from the worldwide hit TV show DuckTales are among the confirmed guests for Disney Channel GO! Fan Fest today. The event takes place at the Disneyland Resort, California and will give fans the chance to meet the stars from some of Disney Channel's favourite shows, including DuckTales, Andi Mack, BUNK'D and Stuck In The Middle. The day kicks off at 11.15am with a cavalcade down Main Street, USA at Disneyland Park which will be live streamed on the Disney Parks Blog for the benefit of those who are not lucky enough to be visiting the resort this weekend. At 2pm, David will be joining Danny Pudi, Ben Schwartz, Bobby Moynihan, Kate Micucci and Toks Olagundoye at Stage 17 in Hollywood Land at Disney California Adventure park for DuckTales LIVE, a live table read of one of the McDuck family's hair-raising adventures. Then, from 4pm there'll be another chance to catch up with the DuckTales stars at a meet-and-greet outside Stage 12 in Hollywood Land. Disney warn that space is limited for the table read. For the meet-and-greet experience, wristbands will be supplied for your choice of ONE meet-and-greet experience per guest park opening in front of Stage 12. Wristbands are extremely limited per experience and must be picked up in person. Full schedule details for the day are here. The classic 1980s animated series DuckTales returned to TV last year with a new cast and brand new adventures. Initially launched on Disney XD, the series moved to Disney Channel from 1st May, with episodes airing every day and new episodes premiering on Fridays from 8pm/7c. David Tennant leads the cast as Scrooge McDuck with Danny Pudi as Huey, Ben Schwartz as Dewey, Bobby Moynihan as Louie, Beck Bennet as Launchpad, Toks Olugundoye as Mrs Beakley and Kate Micucci as Webby.